» How Excited Is Samuel L. Jackson for Taken 2? 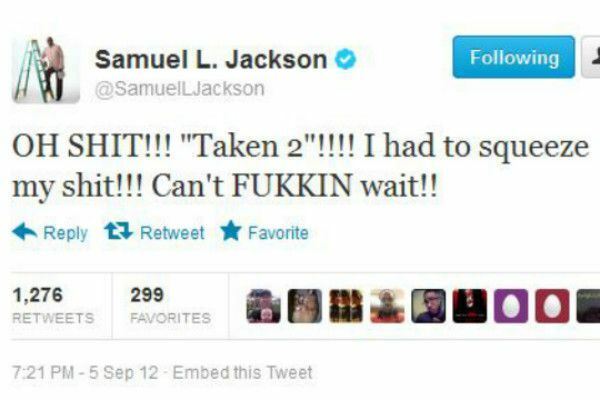 How Excited Is Samuel L. Jackson for Taken 2? Very, VERY excited! We just hope he doesn’t squeeze it so hard we have to send Liam Neeson up there to retrieve it from captivity. He leaves a body count.